The multinational food manufacturing company Kellogg has made a commitment to only buy palm oil that is fully traceable and has been produced in an “environmentally responsible manner”. It says its suppliers will have to meet specific sourcing criteria by 2015. “As a socially responsible company, traceable, transparent sourcing of palm oil is important to us, and we are collaborating with our suppliers to make sure the palm oil we use is not associated with deforestation, climate change or the violation of human rights,” said Diane Holdorf, Kellogg’s chief sustainability officer. Heldorf said Kellogg was working through its supply chain – from suppliers to processors to growers – to ensure that the palm oil it uses is sourced from plantations that uphold the company’s commitment to protect forests and peatlands as well as human and community rights. Kellogg would require all palm oil suppliers to trace their oil to plantations that were independently verified as legally compliant, Holdorf said. This meant that producers selling to Kellogg would have to adhere to the company’s principles for protecting forests, peat lands and communities and comply with all the Roundtable on Sustainable Palm Oil (RSPO) principles and criteria. “Suppliers must comply with the requirement by December 31, 2015, or be working to close any gaps identified in their action plans,” Holdorf said. Deforestation in Indonesia; photo by Roni Bintang. The RSPO is the international palm oil certification organisation, and involves growers, processors, food companies, investors and NGOs. Set up in 2004, its purpose is to encourage the production of sustainable palm oil, i.e. palm oil that has been cultivated outside of areas that have a high conservation value. The organisation has come in for considerable criticism from Greenpeace and others. Some companies are improving their image by becoming RSPO members while producing very little sustainable oil. Producers only have to certify a portion of their crop as sustainable to become RSPO members. If a company had a 15,000 hectare concession and half of it was covered with forest, it would only have to agree to protect a portion of that forest to satisfy the RSPO criteria. 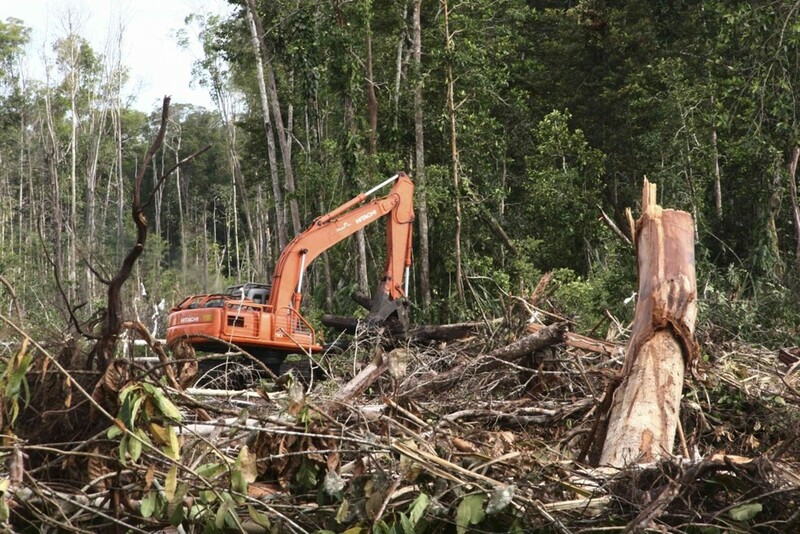 The US-based Union of Concerned Scientists says the RSPO standards “do not yet represent the best science regarding forest conservation and carbon emissions”. Certified sustainable palm oil, the scientists point out, is not guaranteed to be deforestation-free, and the destruction of peatlands is not banned. In early 2013, more than 200 scientists from around the world called on the RSPO to adopt stronger standards to address these problems, but, the UCS says, the RSPO failed to make these needed changes. Kellogg’s new commitment is nevertheless a step forward that has been welcomed by those campaigning for an end to the devastating deforestation being caused by oil palm cultivation. The UCS said Kellogg’s commitment would help pull the industry in the right direction and the scientists particularly welcomed the reference to protecting carbon-rich peatlands. “Palm oil can be grown without destroying tropical forests or our climate,” said Sharon Smith, campaign manager for the UCS’s Tropical Forest & Climate Initiative. In December 2013, the Singapore-based palm oil producer and trader Wilmar announced that it would commit to supplying palm oil that was deforestation-free and did not violate human rights. Smith says the UCS will be watching closely to see if Wilmar is serious about protecting the environment, endangered species and indigenous communities. The UCS has also welcomed statements by Unilever and Ferrerro Chocolates that, by the end of 2014, all of the palm oil they buy globally will be traceable. “L’Oréal just adopted a deforestation-free policy that, in writing, is quite strong on palm oil,” Smith added. The UCS says the deforestation caused by palm oil production is driving global warming. “Palm oil is used in everything from food and fuel to beauty products and cleaning agents,” Smith said. 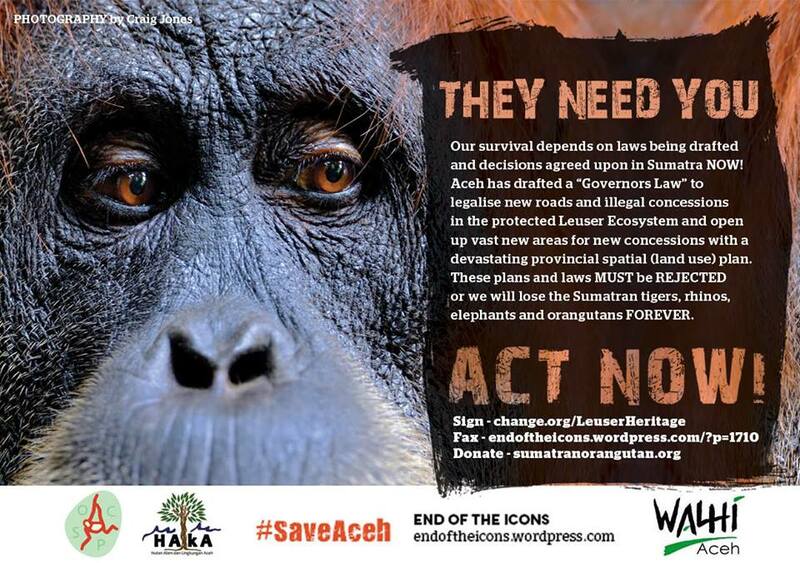 “The demand for palm oil has risen dramatically and such increases in demand are driving increases in deforestation. The UCS hopes that the commitments outlined by Kellogg will soon become industry requirements. “We’d like to see all palm oil producers making oils with these values and companies walking away from suppliers that cannot prove their palm oil is deforestation-free, peat-free, and conflict-free,” Smith said. Kellogg was put under pressure after two girl scouts, Rhiannon Tomtishen and Madison Vorva, challenged the company for using palm oil in Girl Scout cookies, which are produced by a Kellogg subsidiary. In a lengthy campaign, the girls highlighted the deforestation being caused by oil palm cultivation and the threats to endangered species like orangutans. They eventually persuaded Girl Scouts of the USA to make a sustainable palm oil commitment and are still pushing for tougher action to protect forests and wildlife. Tomtishen and Vorva’s efforts were recognised by the United Nations in 2012 when they were among the winners of the International Forest Heroes award. Experts in wildlife protection say habitat destruction is bringing the Sumatran orangutan to the brink of extinction. Close to 90 percent of the world’s palm oil is produced in Indonesia and Malaysia.